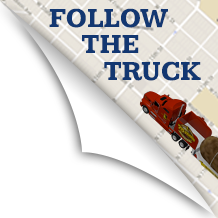 The Great Big Idaho® Potato Truck, well into its second cross-country tour, stopped in Mentone today forcing police to control traffic as hundreds came out to admire the massive spud. 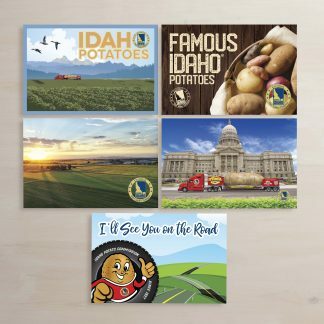 The World’s Largest Potato on Wheels is traveling more than 22,000 miles on a 7-month journey to raise funds and awareness for Meals on Wheels. 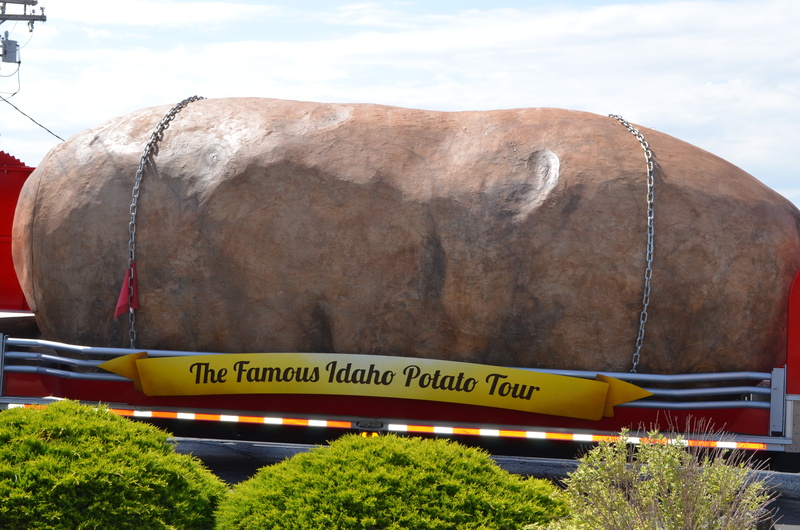 In Mentone today, school children flocked to see the 28-foot long, 12-foot wide and 11.5-foot tall Idaho potato and pose for photos. Even passersby stopped to admire the sight. “Sometimes I don’t have the will to break their heart,” added Pagel, saying even people with Ph.D.’s have asked how the potato was grown so big. 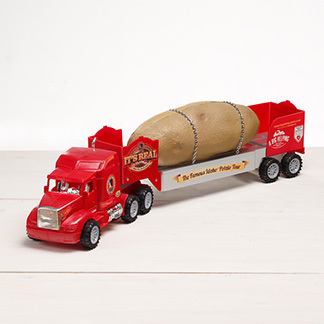 The world’s largest real potato, on record, is 24.9 pounds and was grown in Tyre, Lebanon, in 2008. In 2012, the Idaho Potato Commission built the larger-than-life version of an Idaho potato in celebration of the IPC’s 75th anniversary. 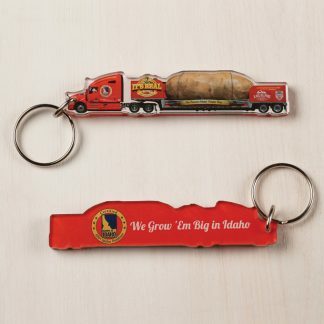 The trailer-mounted spud weighs in at 6 tons – or the equivalent of 32,346 medium-sized Idaho® potatoes – and certainly demands attention as it promotes the oldest and largest national organization dedicated to helping end senior hunger.